I found Spellephant Fluff one day while on facebook and I was immediately drawn to her Character diapers. I picked a owl fabric with a matching minky this diaper fits from 10-35+lbs. This is one of her Hybrid Fitted diapers. This style has a hidden layer of poly fleece, letting the diaper breath but still water-resistant. You would need a cover to make this diaper fully water-proof. Like the Ai2 this diaper comes with snap-in inserts for easy washing and adjustability. The fabric is so cute and she matched the orange with it so nice. The inside has a super long insert and it works really great. Each diaper comes with two inserts made of super heavy bamboo fleece. Like the name suggests, these inserts are SUPER absorbent. For the Ai2 and HF styles the inserts are topped cuddly minky to wick away moisture from baby’s bum and keep it dry and comfy.I just fold it down for my little boy at night time. This diaper will need a cover to be waterproof but we have been using it at bed time. It is hard to try and take a nice shot with this crazy guy running all around and never sitting still. Here is a backside shot. I love it so much! She has so many great prints to choose from and you have to see her Character diapers too. 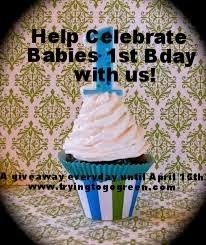 One lucky TTGG follower will be winning a $25 Gift Card to anything in her store. Well, it looks like she's pretty cleaned out... The only boy diapers in the shop are an olive one and a robot one--both seconds quality.... The robot one would be my pick, but I'd wait for another stocking! They are all so cute! I love the gumball machine. They look so soft! I like the shirt, pant, diaper matching sets! Id love one of her babywearing custom diapers!! omg she makes one size pants!! so exciting I love the burnout stars set but if that wasn't available I'd get any of those awesome pants! I like OS Robots Windpro Hybrid baby blue. I would get a character diaper. how unique! The Cars diaper for sure!! LOVE the Harry Potter character diapers! Too cute!! We would get a hybrid fitted diaper! I like the elephant diapers! I don't think I saw a fraction of what she makes but the gumball machine is pretty awesome! I'd be happy with a Harry Potter or Lord of the Rings themed diaper also. I want a dragon diaper! I'd like a burnout stars diaper! love the baby wearing symbol diapers! Oh man i would love a batman diaper or a R2D2 diaper so cool!!!! I would use it toward a harry potter diaper! Awesome! I really like the OS Burnout Stars and the Burnout Stars Set. Her items are awesome!